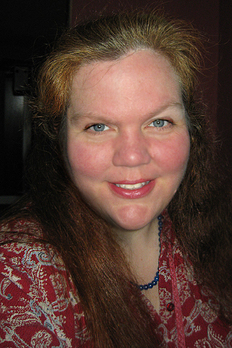 Today we welcome the lovely Cynthia L. Moyer to the blog. This is Cynthia’s very first blog interview. We are thrilled to be a part of it. Cynthia L. Moyer spends her days raising kids and weaving tales in the southwest corner of Washington. She has red hair and blue eyes, her children are Chinese, and her husband is a forester who plants over a million trees each year. Paper or plastic? We’ll take paper, thanks. A Midwestern girl who lived in the Philippines for a year as an exchange student when she was 16, she fell in love with the Pacific Northwest when she moved to Seattle for college. After college, she found herself living on an Indian Nation above a bay full of whales and otters. She’s also lived in a dollhouse with a pink sewing room, in a purple Victorian twenty minutes from the beach, on a flowery acre under a misty mountain, and now she and her family share their home in the trees with a pack of wild bunnies in the backyard. In her life she has worked carving ducks out of wood with a burning tool, doing calligraphy, and as a dishwasher in a dinner theater. She was pulling espresso in Seattle before the rest of the country even knew what it was, except for possibly some Italians in New York. She’s been a nanny, cleaned houses, and was a short order cook at the oldest coffeehouse in Seattle during its day, The Last Exit on Brooklyn. She did the grocery store thing, the office supply store thing, the gift shop thing, the deli thing, and was a newspaper reporter for years, and although she never worked in a bookstore, she always wanted to. She now decorates cakes and colors comic book art, designs all kinds of things, makes amazing bento lunches, misses having chickens in her backyard, and totally and completely loves Doctor Who. She believes in adoption, the power of love, the beauty of lavender fields, the sweetness of chocolate, and the zing of caffeine. She was excited to discover that writing was the perfect way to finally meld everything important to her into one activity. 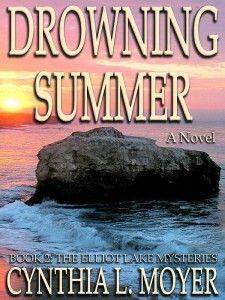 I am currently working on an adult mystery called DROWNING SUMMER. 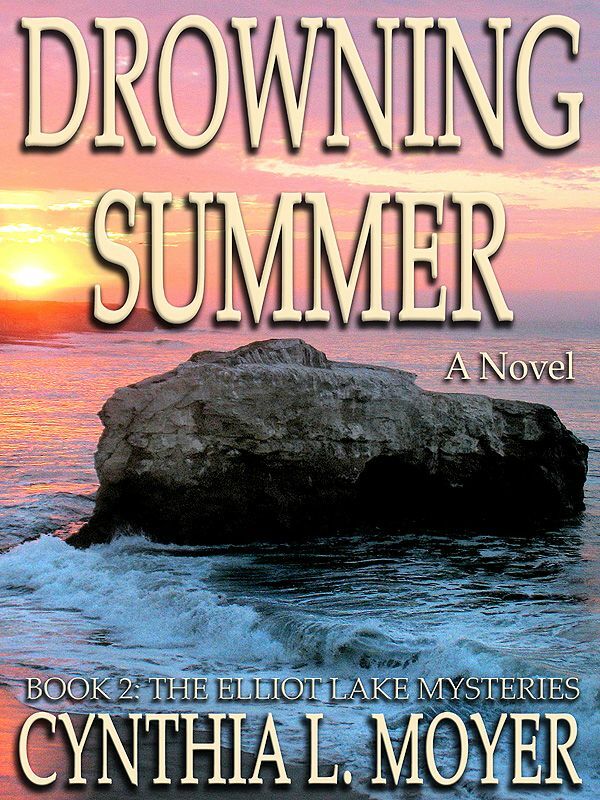 This book is the second in my Elliot Lake Mystery series, starring Elliot Lake, a reporter who lives in a small town called Alder Bay on the Oregon Coast. 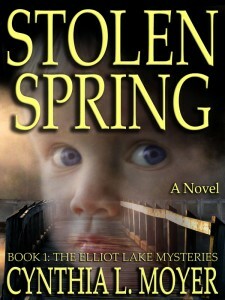 The first book is STOLEN SPRING, and it’s already out there in the world, which is something I’m still getting used to! The series is a mystery, but pulls cozy elements in as it is set in a goofy small town on the Oregon Coast and there is plenty of humor as well as crazy characters who you’ll meet along the way. There are paranormal elements, and those will come more into play toward the end of the series, and of course, there is a love story. Or two. And a cast of the cutest kids you will EVER want to meet! What was your favorite part of this book? I have a few favorite parts, actually. In DROWNING SUMMER, I introduce a character in the beginning I didn’t think I’d like at all, but now I just love him! He goes through quite a lot and I am just really enjoying writing his story. Because of his background, all of his experiences are brand new and we get to see the world through his beautiful, jade-green eyes. Another thing I love about the whole series is that Elliot Lake is Asian-American. My children are Chinese and so one day I came up with the idea of having Elliot have an Asian background, because when I first began writing the series, he was just another sarcastic guy in his early forties. But when I gave him a heritage, a mysterious back story, and a cultural slant, he became just a million times more interesting. (“Miles” from LOST may or may not have had something to do with my decision. I’m not telling!) 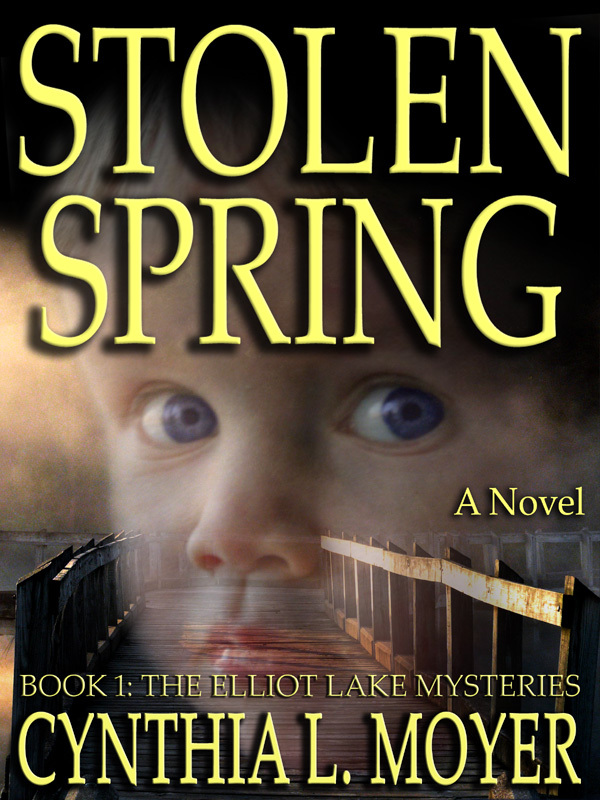 In STOLEN SPRING, we meet Elliot’s overbearing mother of Chinese descent and his Caucasian father, and hear about his spoiled-rotten younger sister, Princess Maggie Morning Star. I also loved the process of weaving in details from STOLEN SPRING into the second novel, knowing that some of the questions raised in DROWNING SUMMER won’t get answered until book three, FALL OF THE COVE. The fourth book in the series, WINTER OF REVEAL will tie the series up in a neat little bow, with plenty of explosions. How do you write? Are you someone who is very organized with outlines and schedules or do you have a specific system that works for you? I write during the day and late at night. When the kids are in school, I can usually do a few thousand words during the day, but life often butts in and crashes those plans. But I also have several hours at night once everyone is in bed, so I rely on that time, too. What I am working on is discipline, so that when I make a writing plan, I will stick to it. When I start a new project, my method is pretty straightforward. I already have the basic main plot worked out, because I have a stack of stories I’m already waiting to write. I know who my main characters are and what their names are. In fact, I create a “name bank” before I start, filling a page with names to use in the book. My favorite name website is http://babynamesworld.parentsconnect.com/ (Just turn your volume off because they have one of those annoying automatic videos, but their wealth of names is worth it!) When I use a name in the novel, I highlight it in red to show that it’s been used. It’s a good way to avoid using a name (or a similar name) twice in the same novel or series. I also create a page where I jot down my different ideas included in the main story arc. And then when I start writing, I basically watch the movie playing in my head and just write it down. I balance as I go – trying not to dwell on one story arc too much, and then inserting humor or surprises to keep the story moving. I usually add too much backstory as I go, but then streamline that in later revisions. I’ve removed huge chunks of story, too. Never be afraid to use the delete key. Getting the story RIGHT is what’s important, not those thousand words you need to delete for the sake of the story. What do you do to conquer writer’s block? I never run out of ideas for stories, but when I get stuck while writing, instead of letting that take over, what I do is really simple. First of all, I write in scenes, and I use the Web Layout view of Word, and so the framework I use is—at the end of the written portion of the manuscript, I have a page break. Then I have “SCENE:” and another page break. I do a lot of them, as each book has around 70 scenes or so when it’s finished. I don’t do 70 page breaks initially, but what I do is have enough laid out so that in those future “scene” breaks, I can insert one-liners about future scenes I know are going to happen. I’ll make a note whose POV that scene is in and what the major action is. This way I can add scenes in the middle as I realize what needs to happen, but I can actually write it another day. It’s like a bookmark for that action in the story, and if I have a new thought about an upcoming scene, I can go to it and make some notes there. For example, I know how DROWNING SUMMER will end, and that means at the end of the manuscript I have a handful of scenes detailing that section of the book. Another example: somewhere before the end is the mayoral election that’s happening in the town of Alder Bay and that is a part of the book where humor will be prevalent, as well as set up a side arc storyline for FALL OF THE COVE. So I have those scenes already designated (or written), and can fill in around them with the rest of the novel. Who has been your biggest supporter as a writer? My online friends and those friends I have in real life. And also, my daughters. They were so excited to see my first books in print. My oldest wants to be a writer, too (as well as a massage therapist, LOL). But having people around me asking, “When’s the next book coming out?” is the best motivator of all. What are some things besides writing that you enjoy? I like playing games with my kiddos and husband, and walking around the lake we have here in town. It’s so gorgeous there. On rainy days, we like piling on the bed with all the cats and just talking. I don’t like cleaning, so that will never make this list, but before I started building my writing career, I enjoyed decorating cakes, coloring comic book art for friends, and then I’m sitting on a mountain of unfinished sewing projects, of course. What I really like to do is cruise office supply stores. Then I get inspired and come back home and organize my desk again. I also spend way too much time on Etsy looking at Doctor Who and Firefly jewelry. Do you have a bucket list? What are some of the things on it? Oh, my gosh… going to Scotland and England is at the top. Our family has never been to Europe at all, so we are hoping to make that a reality in the next year or so. Through Facebook I have friends from Paisley, Scotland, all the way to the southern coast of England. Our trip will just be amazing! And someday I’d also like to visit Thailand and New Zealand, as well as Peru. So basically my entire bucket list is pretty much focused on traveling. LOL Luckily my husband enjoys traveling, too, and our kids are from China, so they have passports and are ready to go! I always see the same advice—find other writers, improve your craft, and read, read, read. And all of those are key, but my advice is mainly make sure that what you’re doing makes you happy. Do you like seeing characters come alive on the page? Do you enjoy thinking about ten different ways to write one sentence? Do you dream about having a thesaurus program cyber-surgically uploaded into your brain? Then you will make a great writer! I am definitely a cat person, but if it was legal and I had unlimited money, I would be a panda person. This is one I’ve been grappling with recently. I’ve lived in the city, I’ve lived at the beach, I’ve lived in the country, and now I’m in sort of what might be described as suburbia… but what would make me the most happiest I believe is a house sitting in the middle of a huge garden, in a major city. With a porch swing. And bay windows. And a huge kitchen. And bird houses. And sunflowers. And more cats. With a café within walking distance. We have both here in the Pacific Northwest, so this is a tough one. I do know I’m not a fan of tropical beaches because I really, really dislike hot weather. And the sun. Well, the sun hates me. I can spend about five minutes under its rays, and then I’m running for cover. But my favorite mountains are the Olympics in Washington State, and my favorite beach would have to be the one in Oceanside, Oregon, where I used to take my kids when they were babies. Super pretty! I love coffee, it doesn’t love me. I have to watch my intake or I turn into Crazy Blabbering Mama. So, I have been increasing my tea intake and have two favorites. First, I love Scottish (or Irish) breakfast tea with milk. It’s a black tea and almost tastes like a meal just by itself. My other favorite tea is an herbal tea from the Montana Tea & Spice Company called “Evening in Missoula.” It has eleventy-seven blossoms and herbs in it, and I swear it tastes like I’m drinking flowers. An entire garden of joy in my mouth. I’ve tried a lot of herbal teas in my life, but this is the best one. I found it about fifteen years ago in a tea shop in Olympia, Washington. But I never went back for more, and life went on. A few months ago I did a random search for “Missoula tea Montana” and totally found it again! I love the Internet! I don’t crave either, actually. I’m much more of a fan of Mexican, Thai, teriyaki, Indian, Ethiopian…. So would those be considered more savory? Or count as spicy? Maybe it’s both! I was very glad that as our kids got older, they enjoyed ethnic food as much as we already did, except now we get in horrible fights over which restaurant to go to, especially when we’re in Seattle or Portland. There are just too many places to choose from! Where can you find Cynthia around the internet? Very good interview! And love the cover for book 2! Wow, your books sound so good. I can’t wait to get an e-reader. I can’t bear to read on the computer since I do so much of that already, but I will one day be able to catch up with you, Cynthia, and Denise, too. I love stories with suspense and humor. Thought your advice to writers was very wise. Only on the Internet can an individual be popular and lonesome at the same time. And my blog is a collection of responses individuals don’t desire to hear to concerns they didn’t ask.